Springfield, MA and Johannesburg, South Africa – June 27, 2018 - SystemOne today announced the launch of Aspect, a new disease intelligence platform based on the company’s work in over 40 countries. Aspect offers countries a proven means to understand disease burdens, accelerate response, and manage diagnostic equipment and supplies. Aspect is a completely new iteration of a product that began as GxAlert, the first platform to connect GeneXperts in 40+ countries, managing nearly 5 million TB, Ebola, and HIV diagnostic results. Aspect extends these capabilities to connect to any device and handle any diagnostic data in any country. 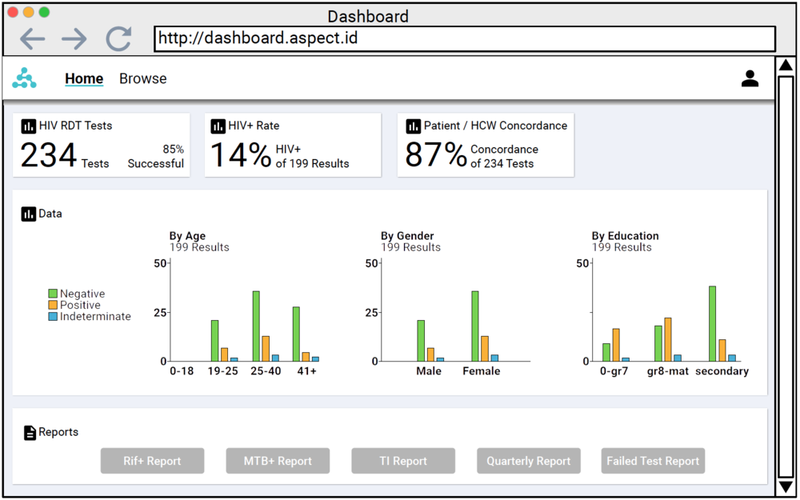 Image: Aspect provides flexible operational and clinical dashboards, with data from lab devices, POC, and RDTs in one place to enable better, faster decisions.